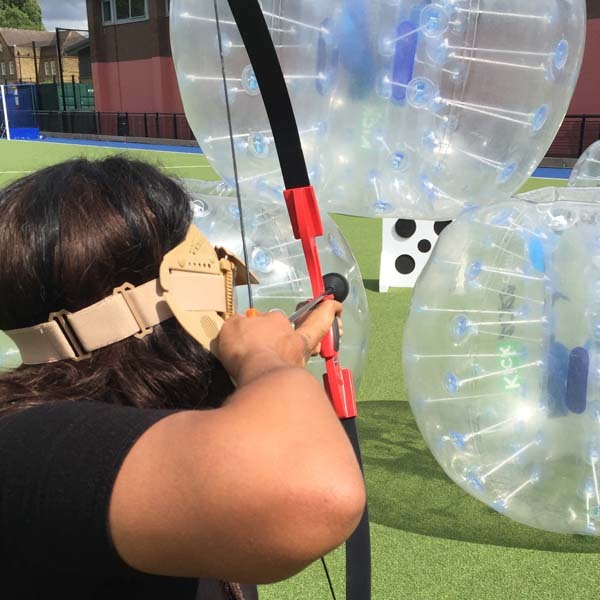 Tag Archery is 60 to 90 minutes of exhilarating fun with a whole lot of laughs. EventDropOff Tag Archery parties contain a wide range of games which can be adapted to suit your unique party, or event, needs. 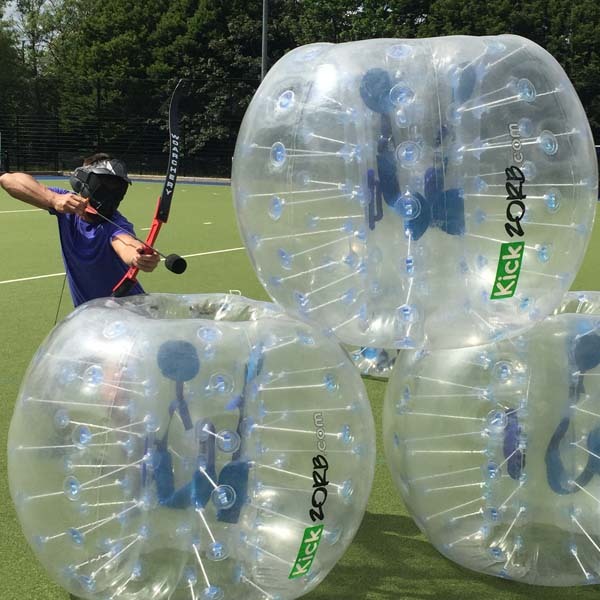 We organise fun games and activities which can train up the absolute beginner to become a star shooter. 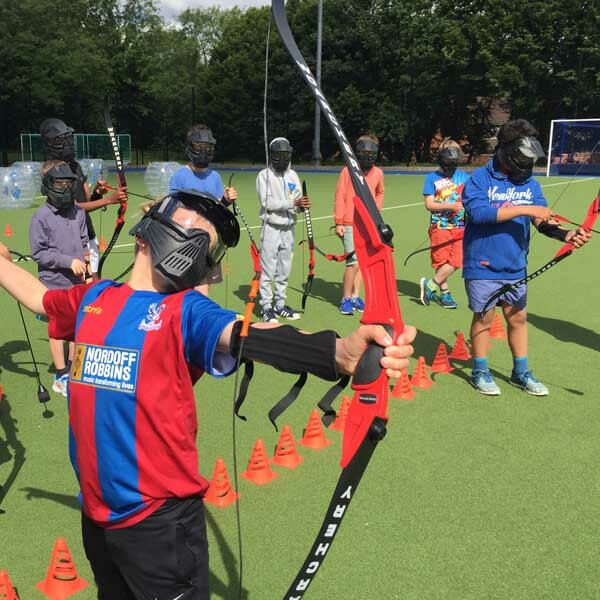 Tag Archery is a perfect party or group bonding activity, helping to keep big groups smiling. On arrival, the Tag Archery team will talk you through using the equipment including all of the important safety information. Battle from the outset. During this activity, fast arrow loading, dodging and avoiding are the main aim of the game. With the basics under your belt, its now time to get serious. 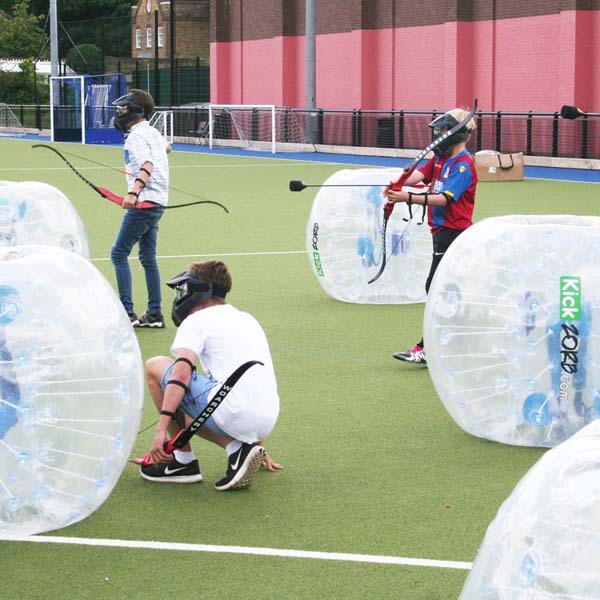 Dodgetag is where your shooting skills are tested. Shoot at players and targets to help lead your team to victory. Tag Archery isn’t just about shooting, its also about avoidance. This game will test your speed, agility and ability to outthink your opponents. Do you have the skills to cross the battle field? By now you are a pro with a bow. Use all your newly learnt skills to reach the end of an all-on-all battle. Shoot, run, avoid and conquer to reach the end of a thrilling game.